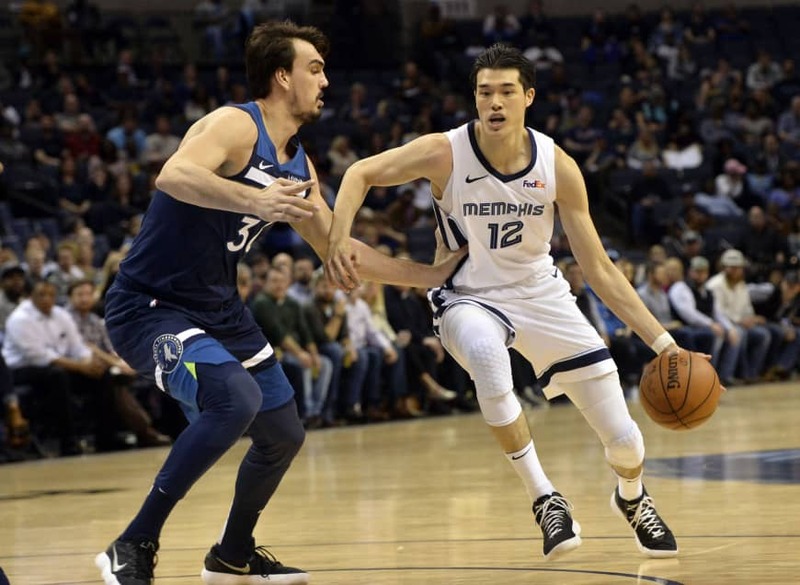 MEMPHIS, TENNESSEE - Mike Conley had 25 points and nine assists in possibly his last game for Memphis, and the Grizzlies beat the Minnesota Timberwolves 108-106 on Tuesday night on Justin Holiday’s two free throws with one-tenth of a second remaining. 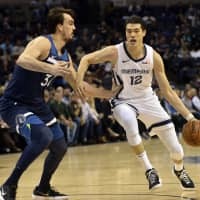 With father Hideyuki and mother Kumi in attendance, Yuta Watanabe had a career night for the Grizzlies, scoring 5 points — including a clutch fourth-quarter 3-pointer — and grabbing four rebounds in a career-high 18 minutes, 45 seconds on the court. “There’s nothing that feels better than scoring a 3-pointer in that situation,” Watanabe said. “I overthought my play (in the first half), but in the second half I played more aggressively. Watanabe spent an hour on Tuesday practicing his shot in front of his parents, both of whom played professionally in Japan. Karl-Anthony Towns had 26 points and 18 rebounds for Minnesota, and Dario Saric finished with 22 points. Luol Deng scored 18. In Indianapolis, Bojan Bogdanovic scored 24 points and the Pacers tied an NBA franchise-record by making 19 3-pointers in a rout of Los Angeles — the most lopsided loss LeBron James has endured in his 16-year career. Twice previously James’ teams had been blown out by 36: Against Washington in April 2008 and in the 2013 NBA Finals against San Antonio. But this might go down as the most embarrassing of the three.